The forehead occupies the upper third of the face, this element captures the light by beautifying the look and the face. We do not always have a perfect forehead. Aesthetic imperfections in the forehead may be genetic (young subject) or age-related (elderly).A youthful forehead is slightly curved, whilst older subjects have a wider, flatter forehead. 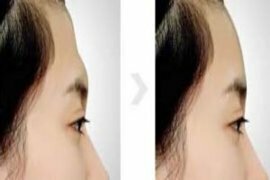 As the forehead muscles move and work, their contraction makes horizontal lines appear, the skin slackens, the forehead become higher and the eyebrows descend. 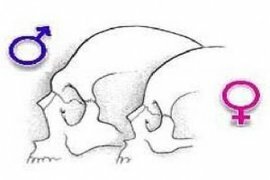 Ageing of the frontal bone changes the contours of the forehead. 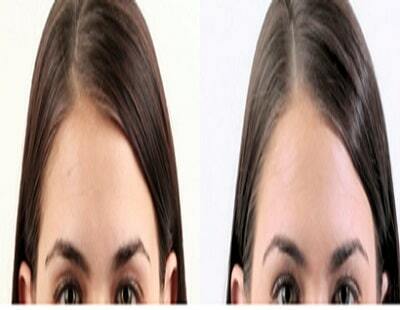 A youthful forehead has a convex curve in both senses, vertical and horizontal. The curves change with age. In a vertical sense, starting at the hair, the curves form a little curve, then a hollow and again curve out at the eyebrow arcade. The foreheadthus tends to take an S form. The same thing happens in the horizontal sense with a curve at the sides of the head, then a hollow and again a curve in the central part. This is the ‘skeletisation’ of the forehead. This bony ridge can give a very masculine appearance to the face. Roundness is created by injecting into the upper zone of the forehead. Roundness is created by injecting into the central zone of the forehead. roundness and volume must be created by injecting hyaluronic acid into this concave zone. The female forehead, seen in profile, is more vertical and then convex, without any projection at the brow. The eyebrow is higher and the distance between the eyebrow and hairline is about 5 cm. – Plump up/volumise a forehead and give it back its youthful curves. 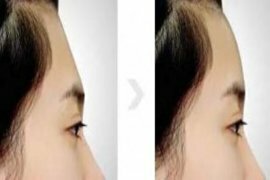 – Feminise or masculinise a forehead. – Treat any hollowing or bosses which may occur to the forehead. Injection is by cannula: this reduces the pain, and allows the product to be more precisely placed. 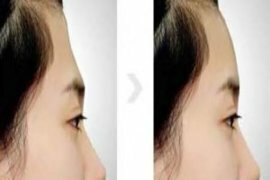 If the forehead is very hollow, or if a lot more volume is needed to gain a convex shape, I use a relatively thick Restylane type hyaluronic acid. If the forehead is less hollow, or just a bit flat, I prefer to use a suppler type of hyaluronic acid like Emervel classic. Following a hyaluronic acid injection, you might experience some small irregularities for a week, and light swelling which can last a day or so, thus it is best to allow for a recovery time of 12 hours. Great satisfaction! Clear amelioration of this forehead I hated. Thank you. The result is beautiful and natural. I don’t regret picking Doctor Romano. I’m very satisfied and I feel much better in my skin, my forehead is no longer a source of complexes. My forehead was too flat, Doctor Romano made it curved and feminine. I was very satisfied with the result. I feel much better and beautiful with my new forehead. Thanks again Doctor Romano. Hyaluronic Acid 450€ for the initial syringe. 350€ for each additional syringe during the same session.